Base price per 100 g: 46,08 €. 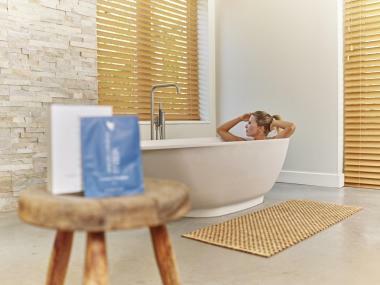 Water (Aqua/Eau), Propanediol, Aloe Barbadensis Leaf Juice (Stabilized* Aloe Vera Gel/gel d’aloès ofcinal stabilisé*), Glycerin, Glycosyl Trehalose,Hydrogenated Starch Hydrolysate, 1,2-Hexanediol, Hydroxyacetophenone, Mannitol, Ammonium Glycyrrhizate, Caffeine, Zinc Gluconate, Aesculus Hippocastanum (Horse Chestnut) Seed Extract, Xanthan Gum, Camellia Sinensis Leaf Extract, Hydrolyzed Sclerotium Gum, Sodium Hyaluronate. 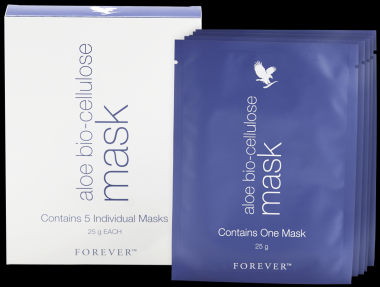 Forever’s most advanced mask yet brings you powerful hydration that absorbs deeper into your skin. It takes only a few seconds to apply and requires no rinsing. 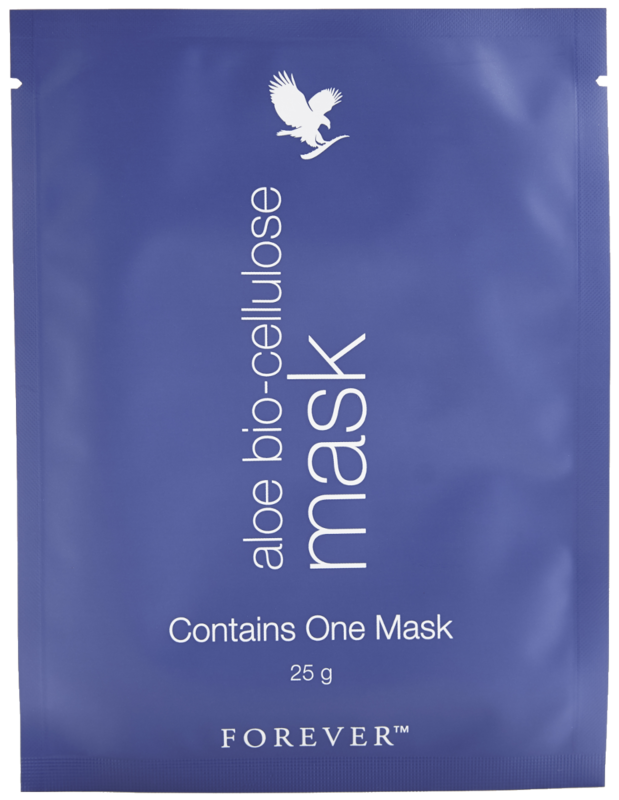 The aloe bio-cellulose mask fits easily to every contour of the face, so the igredients can penetrate deep into fine lines and wrinkles traditional sheet masks can’t reach. 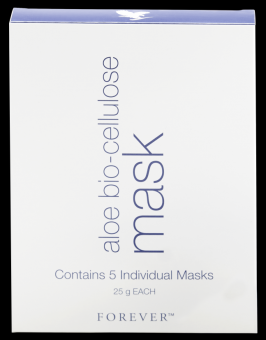 Trough a unique process, Acetobacter xylinum, the bacteria that creates bio-cellulose, is fed Forever’s aloe vera gel and seagrass, fusing them directly into the mask material to hydrate, soften and condition skin. The incuded serum enriched with green tea, and horse chestnut rejuvenates dull skin, helps fight free radicals to help combat the signs of aging and soothes to reduce the appearance of redness. The key component glycerin provides deep moisturizing benefits. Avoid contact with eyes. In case of eye irritation, rinse thoroughly with water. 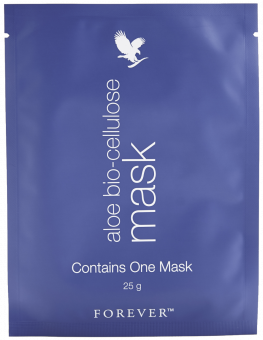 If irritation persists, discontinue use and consult a physician..
Datasheet : FLP aloe bio-cellulose mask, 616, 125g (PDF) -> Open in a new window.